This site celebrates and brings together the work of Baltimore City Public Schools (City Schools) to foster environmental awareness among students and schools—and to make Baltimore a cleaner, greener place to learn, work and live. Across City Schools, a number of green projects and programs take place daily and are in the works. On this site, you can read stories about green projects in BCPSS schools—and find resources to help you start a green program or even get your school to become green certified. 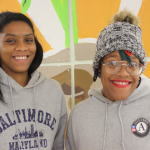 The Council of Teachers for the Environment is a new and active network of teachers in Baltimore City Public Schools who are passionate about environmental issues and looking for ways to participate in the process of systemically greening our classrooms, schools and curriculum. The council holds periodic voluntary meetings that will serve as professional development and connect teachers to community resources. The council provides advice, support and information to teachers engaged in greening at their schools. It also provides a pipeline of information from system administrators and community organizations to teachers and schools—and serves as a way for you to communicate your issues, concerns and successes to system administrators and community organizations. Since 1985, the Maryland Association for Environmental and Outdoor Education (MAEOE), a nonprofit educational association, has served thousands of teachers (and students at all grade levels), natural resource managers, nature center staff, and environmental program managers with dynamic training programs, workshops, conferences, awards programs, networking opportunities, publications, and related materials and resources. Through these efforts, MAEOE has helped to encourage, educate, support, and inspire Maryland educators to build a citizenry that understands and is responsibly engaged in advancing sustainability to address human needs and to conserve the Earth’s natural resources. MAEF offers mobile science labs and professional development to Maryland teachers to promote the understanding and appreciation of the importance of agriculture in our daily lives. NAAEE is a network of people who believe in teaching people how to think about the environment, not what to think. The organization promotes high-quality teaching methods to show people how to make a difference in the world through a positive, non-confrontational approach. NEEF is a complementary organization to the U.S. Environmental Protection Agency (EPA), extending its ability to foster environmental literacy in all segments of the American public as well as leveraging private funds that EPA, as a federal agency, could not access. Programs focus on core environmental literacy for children and youth and environmental education for health professionals and business managers. The Center for Environmental Education (CEE) is an international resource center and clearinghouse for environmental education. Their mission is to provide the necessary resources, curriculum, expertise and guidance to cultivate environmental leadership in K-12 schools. They work to create environmentally healthy schools where children learn how to choose sustainable lifestyles. Great Kids Farm is a 33-acre Catonsville farm operated by Baltimore City Public Schools. It is a living, working farm that educates children about healthy eating, organic farming and the natural sciences. Their programs connect young people to the soil, plants, and animals that provide their food. Visitors learn about sustainable farming practices used to generate this food in an environmentally friendly way. The Agriculture in the Classroom National Resource Directory is an online searchable database that lists hundreds of educational resources designed to help educators locate high quality classroom materials and information to increase agricultural literacy among their Pre-K through 12th grade students. AGsploration: The Science of Maryland Agriculture is a statewide curriculum designed to increase middle school student agriculture literacy and STEM (science, technology, engineering, and math) skills. The curriculum consists of 22 peer-reviewed lessons with experiential, hands-on activities; teacher’s guide; pre-packaged materials kit; and evaluation materials. Each lesson is aligned with Maryland State Department of Education science and health learning standards. Topics include production agriculture, environmental science, and nutrition. This detailed manual for creating and maintaining a curriculum-based school garden was published by the California School Garden Network. The Center for Food & Environment at Teachers College is a national leader in the areas of food, food systems, and the diet-health connection. Its research leads to understanding why people make the food choices they do, and what types of interventions facilitate voluntary adoption of more healthful and ecologically sound food choices. This research has many practice-based outcomes, including the science education curriculum entitled Linking Food and the Environment (LiFE). Links to recipes and nutrition facts of hundreds of popular fruits and vegetables, organized seasonally. The Sprouting Healthy Kids Classroom Lessons guide is free for download, and offers lessons for 6th, 7th, and 8th grade core-curriculum classes— science, math, language arts, and social studies. The lessons introduce students to healthy food and food systems with topics such as learning fractions using healthy recipes, or language arts using plants and food as composition topics. The Sprouting Healthy Kids Afterschool Activity Guide follows the growing cycle of the school garden and offers comprehensive food-systems lessons through professionally developed, kid-tested activities. All activities were designed for middle school students, but may be adapted to younger or older audiences. Activities include hands-on gardening and cooking for young people, plus visits from area farmers and chefs and opportunities for field trips to farms, farmers’ markets, and food pantries. This .pdf file is a tool-kit for launching youth-run farm stands with information on everything from growing the food to marketing and managing a business. A great list of links to guides to starting youth gardens and youth-oriented activities to use in your garden. While not exclusively focused on school garden or environmental education grants, Grant Wrangler® is a free grant listing service that makes it easier for educators, school libraries, and parents to find school funding. They list grants for teachers, school grants, and money for arts, history, mathematics, science, technology, literacy, and more. Kids Gardening is a service of the National Gardening Association and features funding sources, lesson ideas, and resource links. BRANCHES provides disadvantaged young people (ages 14 – 21) with opportunities for paid summer employment in the green economy and access to working professionals in the natural resources fields and academic support. YouthWorks provides well-prepared, multi-skilled, and dependable high school and college students who are eager to work. While the program benefits youth by allowing them to explore careers and better understand the value of education, it also enriches businesses by giving them access to a talented and energetic labor pool of motivated workers. The Food Project grows a thoughtful and productive community of youth and adults from diverse backgrounds who work together to build a sustainable food system. They produce healthy food for residents of the city and suburbs and provide youth leadership opportunities. Most importantly, they strive to inspire and support others to create change in their own communities. FOOD, WHAT?! 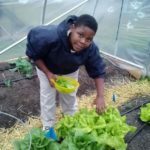 is a youth empowerment and food justice program using food, through sustainable agriculture and health, as the vehicle for growing strong, healthy, and inspired teens. 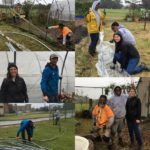 They partner with low-income and at-risk youth to grow, cook, eat, and distribute healthy, sustainably raised food and address food justice issues in our community. The Food Education Empowerment and Sustainability Team practices improvisational cooking in the kitchen where we prepare a delicious and healthy meal. Then they eat together family-style while learning more about food and its impact on ourselves and our communities.